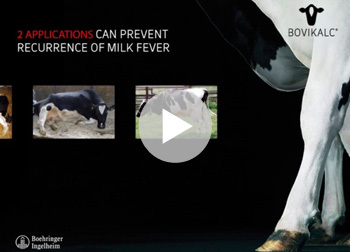 the cow to mobilise her own calcium reserves. 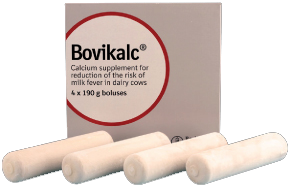 calcium levels over a prolonged period of time. 1st bolus at the first sign of parturition. 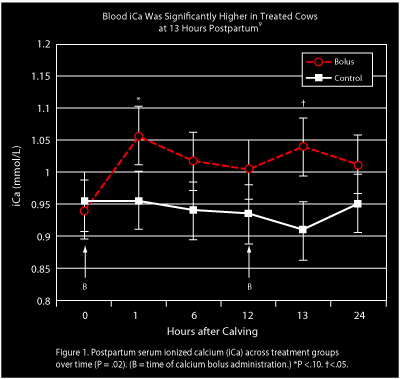 2nd bolus immediately after calving. If necessary, give 1 or 2 additional boluses at 12–15 hour intervals. 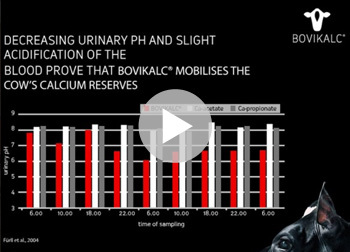 1st bolus 2–3 hours after calcium injection. 2nd bolus 12–15 hours later. Provided that cows can raise their head and are starting to eat and drink. 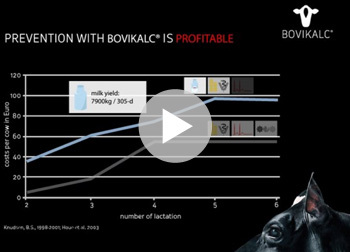 Only administer Bovikalc® using the approved applicator.